You’d probably rather be doing something other than thinking about your own mortality. But because your super can become a significant amount of money, you’ll want to make sure it goes to the right people when you die. Like lots of other people, you may not know that when you die your super money won’t be covered by your will. That’s because you don’t technically own your super money in the same way as an asset held in your own name, and your will only covers the assets you have in your own name. So how can you make sure the people you choose end up with your super money? When it comes to leaving your super to your chosen beneficiaries, there’s a lot to consider. While in your will you’re able to leave an asset you hold in your own name to anyone of your choosing, super is different. Not everyone is eligible to receive your super money directly from the super fund. We can help you understand who you can leave your super to—you may find that only your spouse and children are eligible. However, if you want to leave your super to someone who is ineligible, you may be able to pass your super through your estate to that person. We can help determine whether and how you may be able to do this. 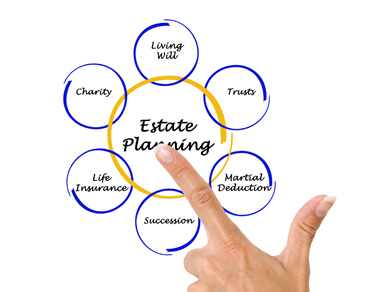 These days, when it comes to estate planning most people understand the importance of having a valid will and revising it at regular intervals. When it comes to your super an arrangement you put in place that ensures the trustees of your super fund will be bound by your wishes can lapse. So just as with your will, you generally need to review your super beneficiaries and your arrangements—every three years or so—to make sure they remain valid, and that the trustees of your money are bound by your wishes. There’s a lot to consider when it comes to leaving your super behind. We can help you navigate the highly regulated superannuation environment when it comes to your estate planning needs. Call us or come and see us as soon as you can and we’ll help make sure your wishes are carried out and that your super money can go to the right people when the time comes.